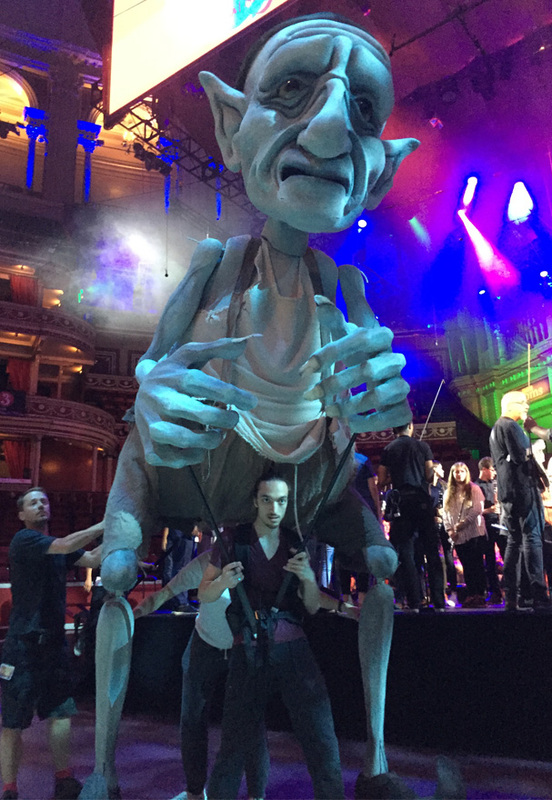 A return to the BBC Proms at the Royal Albert Hall. 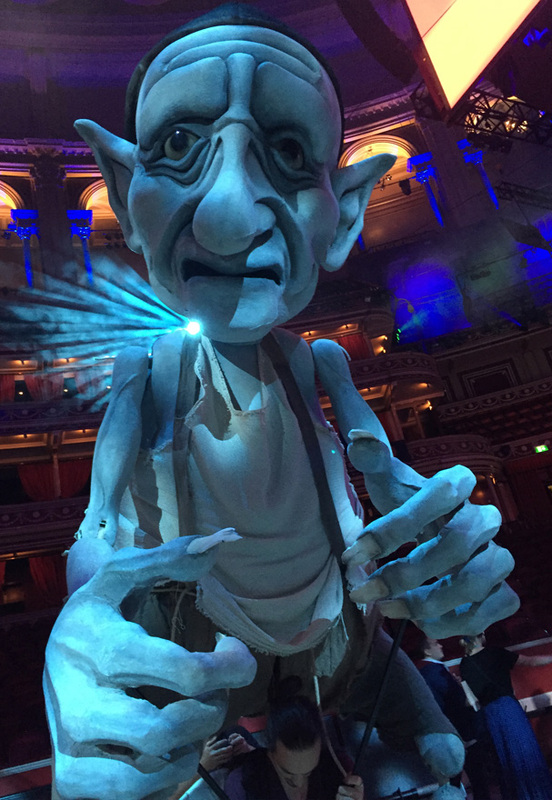 Commissioned by the Ten Pieces team as a follow on to the Firebird, I was asked to create a giant Gnome Puppet to accompany Mussorgsky’s ‘Gnomus’ from ‘Pictures at an Exhibition’. 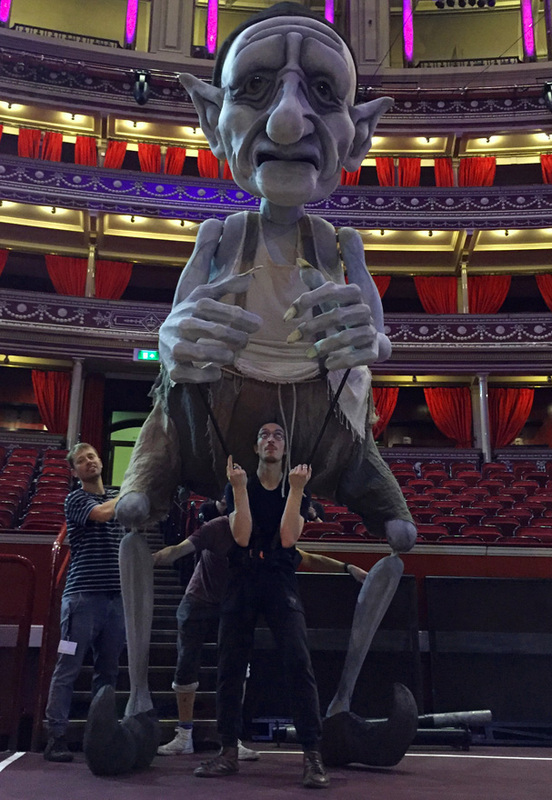 The result was this 4 metre high puppet created in collaboration with Ivan Thorley (Puppets with Guts) in just three weeks!